Now that you're scheduled, here are some details! Please fill out the form so we can better understand your personality, interests and overall mood of the session you're trying to accomplish! Please do not "fake tan"...or use bronzer the day before or the day of your session. Try to be as comfortable as possible with what you wear, if you're uncomfortable it will show in your face. 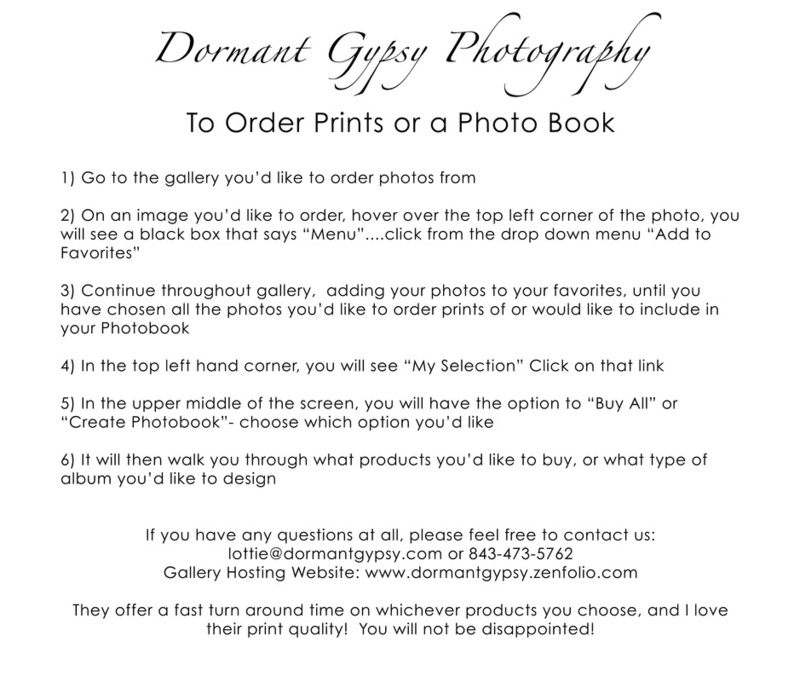 To order additional prints or share with your family/friends you will have access to an online gallery: www.dormantgypsy.zenfolio.com this will remain online for 30-days. Anyone can order prints. Simply put in your name and email address to access the site. No registration is needed. I shoot in RAW format and all images can produce enlarged prints. I will use some photos for marketing purposes, unless you specifically ask me not to, I respect all privacy and my clients appreciate my exclusivity. Customized packages to coincide with your session are available.